The sharp guffaw of a wild baboon startled me from sleep. Close as a whisper, the eerie sound ricocheted through my dreams. I awoke in full fight or flight response mode. My eyes whipped open, careening around the space; they slowly adjusted to the soft ochre light emanating from the banked campfire. From somewhere outside the dim glow came soothing melodic murmurs. The language was at once familiar from my months in East Africa, yet incomprehensible. My heartbeat slowed as my consciousness caught up with my surroundings. A wall of trees shrouded our campsite, creating an impenetrable ring of darkness. A carpet of thick bush began a mere spitting distance from my sleeping spot. Again, a flurry of baboon calls crept across the Loita Plains. The sound echoed in the far distance; it had seemed closer in my disoriented dregs of half-sleep. 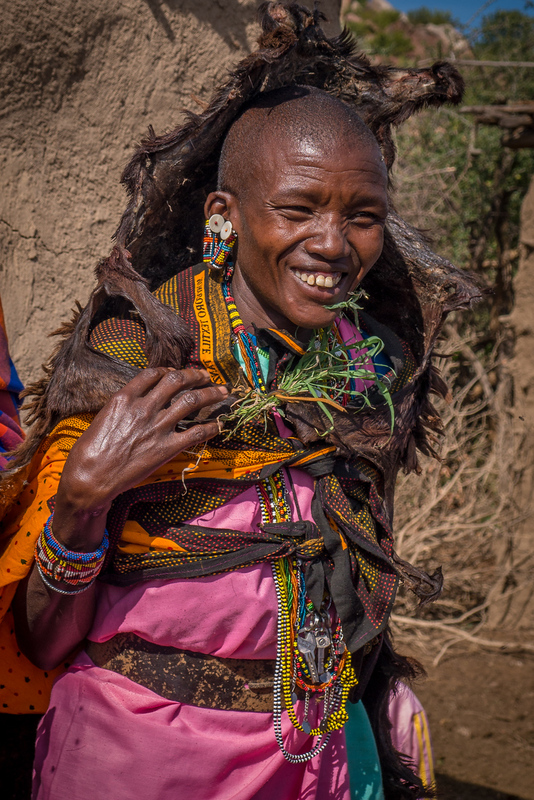 The ground murmured nearby; my gaze collided with the smiling eyes of Quela, a Maasai warrior and my fearless guide. His head quirked to the side, offering quiet reassurance. A cushion of sage leaves hugged me as I snuggled into my sleeping bag. Deep breaths filled my lungs with gentle, sage-scented air. The shooting stars overhead left fiery trails—a riot of stars more numerous than I had ever before seen. A Fourth of July sparkler had splattered its joy across the sky. It was just shy of 4am and I was alone, but not. An earthly quiet settled over the night—a quiet that hummed with noise. The slow and methodic breathing of fellow travelers acted as a metronome for my thoughts. Moments and memories played like a slideshow across that canvas of glittering night sky. 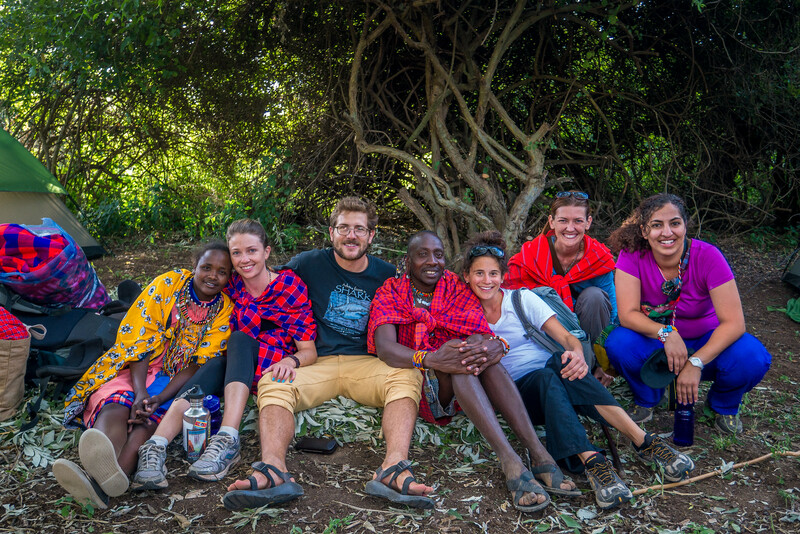 Five days at the Maji Moto Maasai Cultural Camp. It seemed impossible. Time had contracted. Instead of measuring days, I had counted moments. I had collected hundreds of moments. Moments of learning, moments of beauty, and moments of friendship. That first morning at Maji Moto, I woke with a happy jolt. 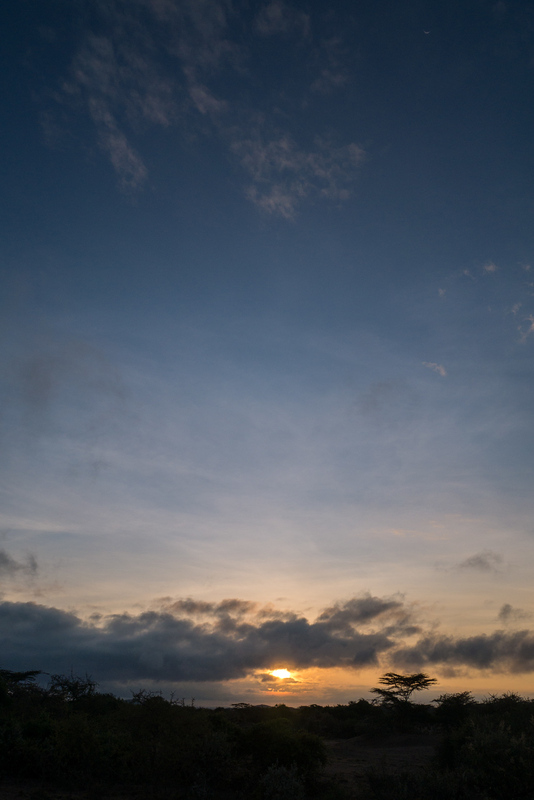 My body wakes with the sun each day, and a quick glance out my window confirmed that darkness was giving way to light. 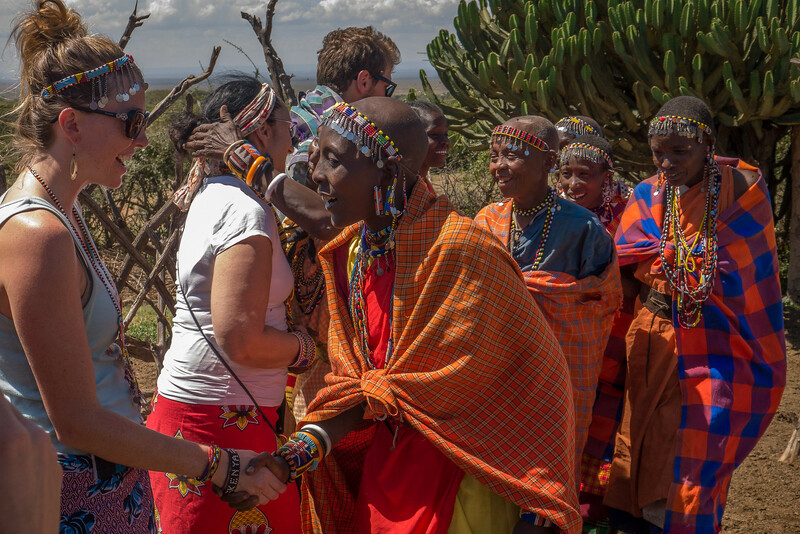 I threw on my shuka, a colorful wrap the Maasai had gifted to me the night before. It braced me against the cool morning. Snatching my camera, I darted from our circle of manyattas, small mud huts that were well-appointed and cozy. 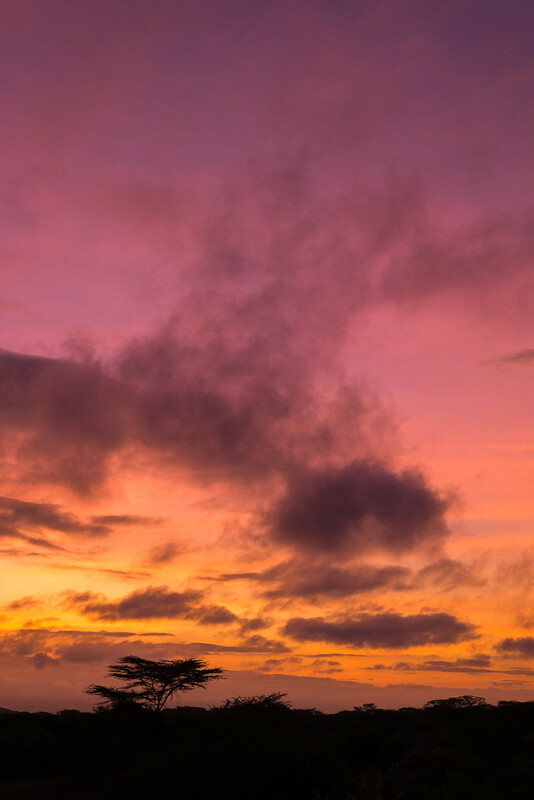 I live for a good sunrise and I was looking forward to watching this one. I walked to the edge of the campsite. The cool breeze ruffled the leaves and a snap of sticks sounded from the Maasai campfire nearby. Creeping into a new day, the sun began to tint the landscape. 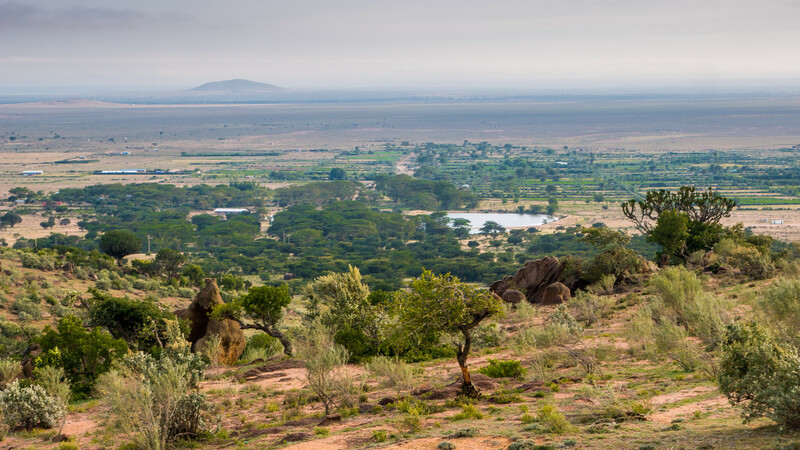 The sunrise washed Kenya’s Great Rift Valley in a pastel wonderland. A rising chatter of birds emanated from the thicket of trees—they were excited, too. Mirroring the shutter of my camera, I mentally froze that moment, pressing it into my memory. After sunrise, and with the rest of the camp still drowsing, I grabbed my book and headed for the dining area. 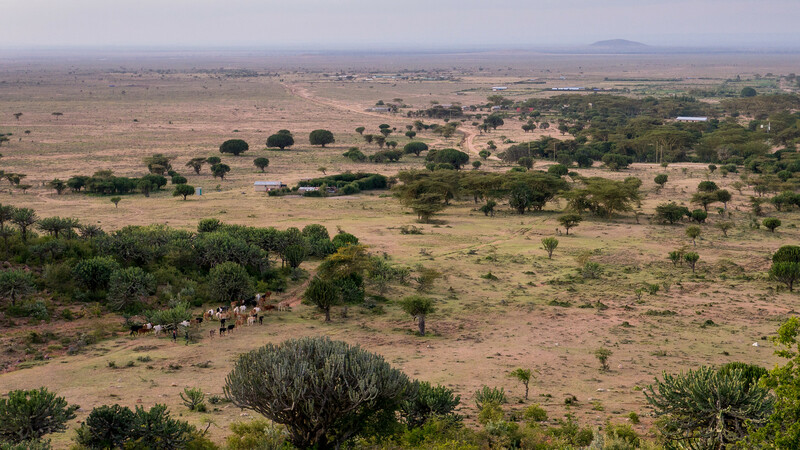 My visit to this Maasai camp in Kenya was the cornerstone experience of my four months in East Africa. Although I rarely plan my travels beforehand, I had booked this week at the Maji Moto Cultural Camp long before the other moving pieces and parts. I visit social enterprises when I travel; it’s one of my favorite parts of discovering a new place. For months, I had corresponded with Susan, the U.S. facing partner of the Maji Moto camp. Now, I was finally in the one place where I could uncover answers to my many questions. I visited with the hope and promise that tourism was the most profound commodity this Maasai chief needed in his village. I visited to support a social enterprise using tourism funds to create, run, and manage projects within its community. In the months leading up to my visit, I had heard of canned tourist experiences with African tribes. Now that I was at Maji Moto, I again worried that my money had bought me a one-way ticket to cultural exploitation. Until now, my knowledge of the statuesque Maasai tribes came from the pages of National Geographic magazines. Over the years, internet shorthand and fading attention spans have reduced many ethnic groups to seductively exotic images. They are a blip on our Pinterest board. A rapid “like” in our Facebook feed. Deep thought has given way to a passing interest. In this digital world, we often forget to consider the stories behind those foreign faces and obscure traditions. After an ethically sketchy slum tour in Cape Town, I had heightened my awareness of my lack of knowledge. There were questions larger than I was thinking to ask. There are issues in Africa deeper than outsiders can ever understand. Ethical tourism is a complicated subject. The edges and boundaries of responsible travel experiences are soft and porous. Something unprecedented and innovative in one community might unravel in another. The underlying belief that there is a panacea to perceived problems has wrought havoc in Africa. But, I also believe that effective avenues of responsible tourism exist; there are ways to visit the region and support projects that steer far clear of the exploitative models of past colonialism. African-led businesses are solving local social issues and locals are shaping their own communities. But finding these voices among the cacophony of outside development solutions is difficult. And so above all else, I hoped my presence at Maji Moto lived within the precept of “do no harm.” I wasn’t there to volunteer—I have no skills needed in their communities. Nor did I visit with a mission to change them. I visited with the hope and promise that tourism was the most profound commodity this Maasai chief needed in his village. I visited to support a social enterprise using tourism funds to create, run, and manage projects within its community. Over my five days at the cultural camp, Salaton Ole Ntutu, the charismatic Maasai warrior chief of Maji Moto, led our small group through the customs of traditional Maasai life. With members of Maji Moto’s Maasai tribe as guides, we walked through the Loita Hills and learned the names of medicinal plants. We watched sunset from a rock outcropping. We sang around the campfire each evening. Grounding each day, we visited the local projects that run, in part, with support from the cultural camp. 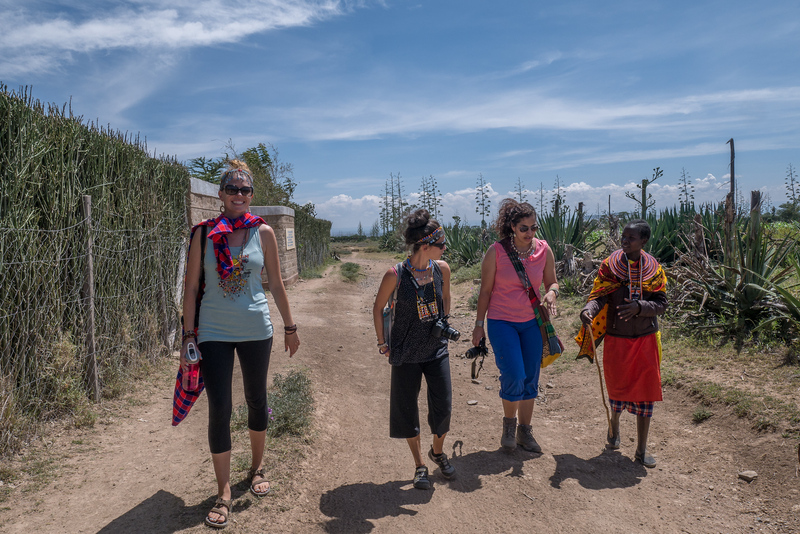 On the surface, our trip was a simple way for us tourists to responsibly engage with the Maasai culture. Underneath, the cultural camp is a single string in a wider, interlocking web of projects bound by Salaton’s a vision and careful execution. There’s the Enkiteng Lepa primary school, a gated building on a dusty dirt road a short walk from the cultural camp. That first day at Maji Moto, Rose walked us to the school. A dry baking heat pulsed around us as Rose explained the school’s importance to her community. Although it looks like schools most anywhere in the world—rows of windows, space to run—this one is unique. 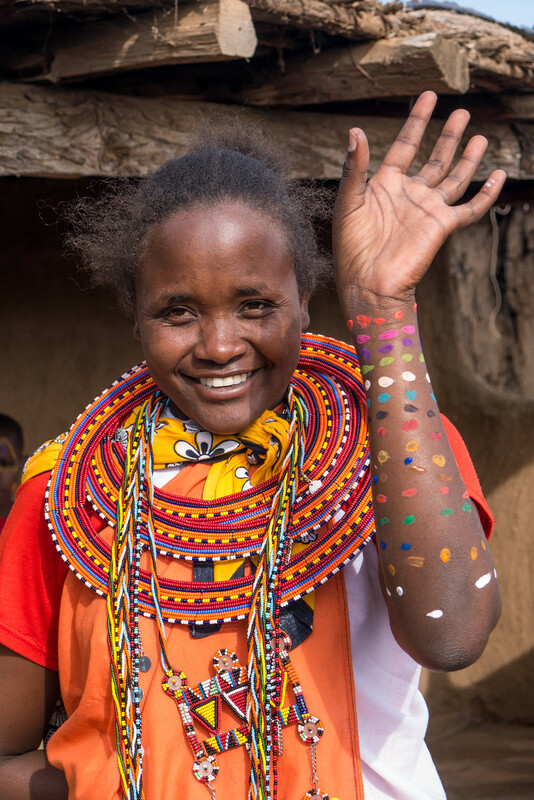 Enkiteng Lepa emphasizes two primary learning goals: a modern education and a comprehensive understanding of Maasai traditions. It’s this adherence to traditions that underpinned so much of what I learned at Maji Moto. Although Salaton has created a modern tourism model for his community, every new project sympathetically marries modern development and cultural preservation. It’s this balance that has made his work successful. 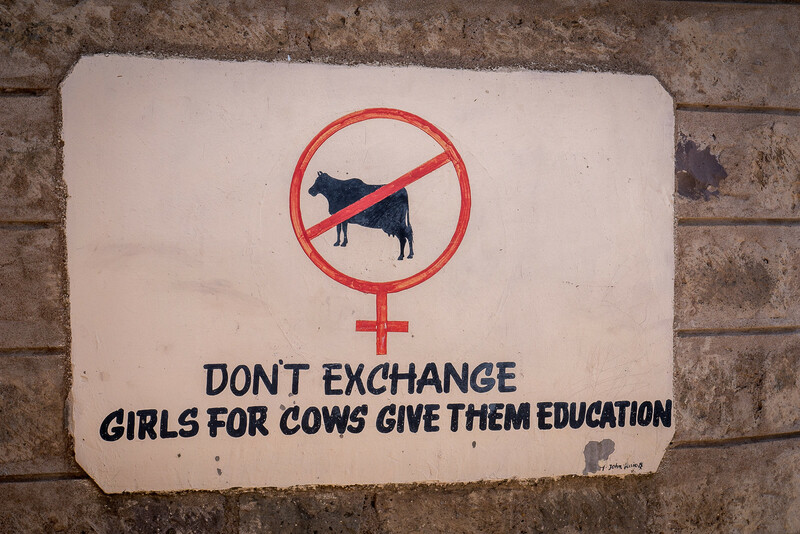 In addition to the school, the Cultural Camp supports a widow’s village and a girls dormitory. 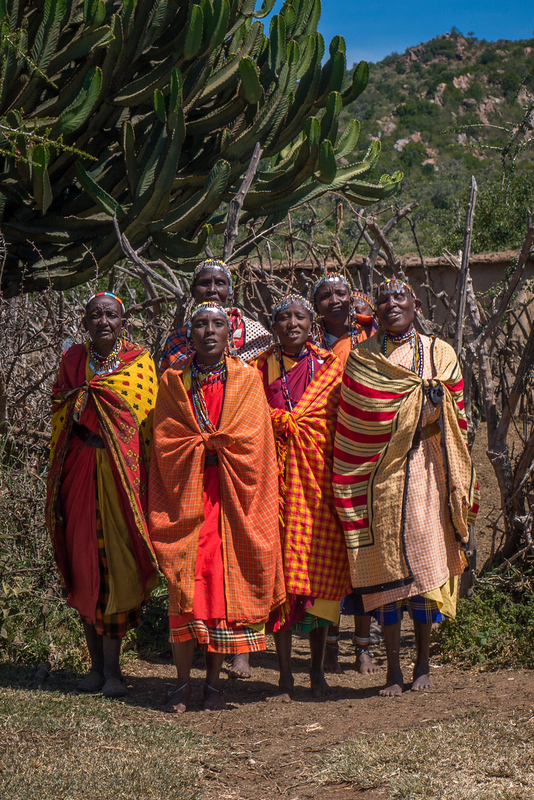 Widows are unable to remarry in traditional Maasai culture, nor can they own property. As a result, many face difficulties supporting themselves and their children. Maji Moto’s Widow’s Village gives the women a support network they traditionally lack. It also provides them with a source of income—the women teach beadwork to the tourists and sell their exquisite, intricate jewelry. One other piece of Salaton’s vision had a significant effect on my perception of the Maji Moto Cultural Camp. 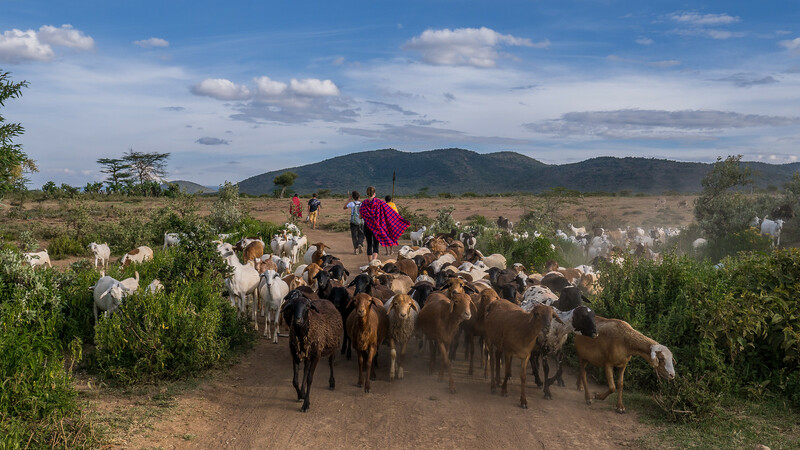 Salaton and other key leaders in his community are leading a campaign against early marriage and female genital mutilation (FGM) within the Maasai community. He began this work with his mother, a renowned medicine woman and shamanic healer. Over decades, many foreign NGOs and international groups have campaigned as outsiders against this practice. 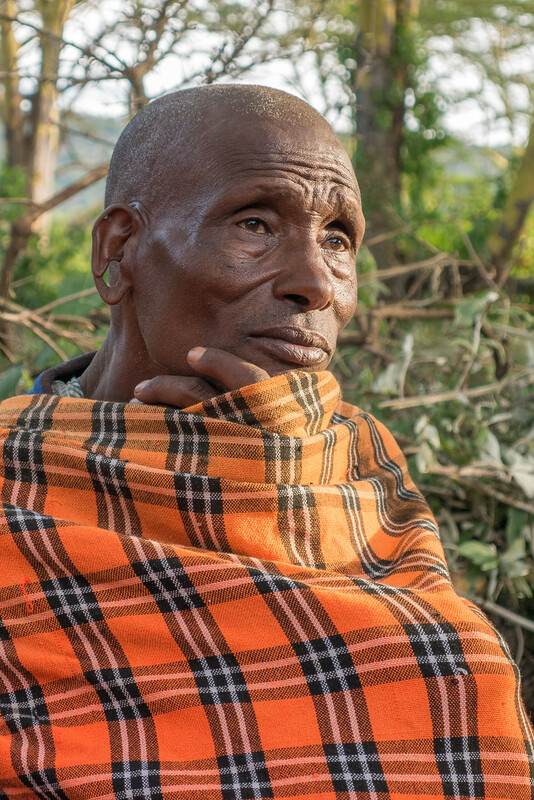 Salaton, his mother, and local Maasai leaders envisioned a different path that would shift attitudes and traditions. Together, their internal campaign is strong but mighty. 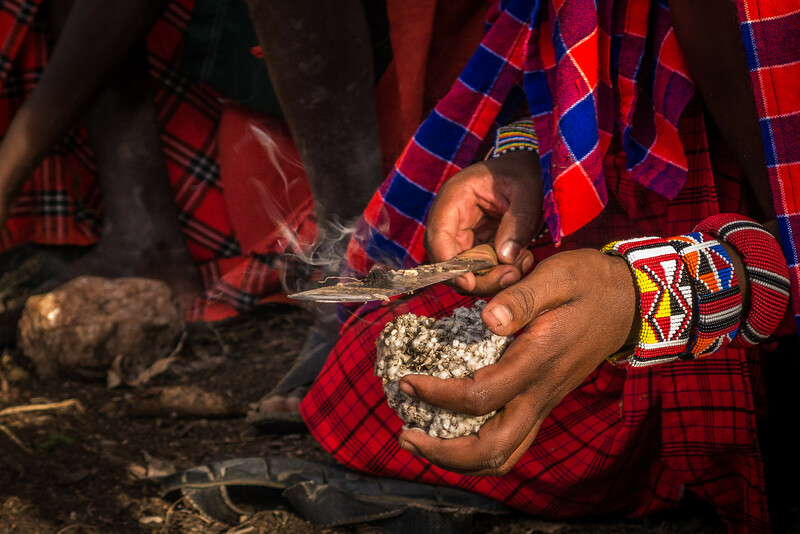 It has the ability to affect lasting change in the practice of FGM among the Maasai. Together, they put in motion a movement that ripples across not only his community, but throughout East Africa. 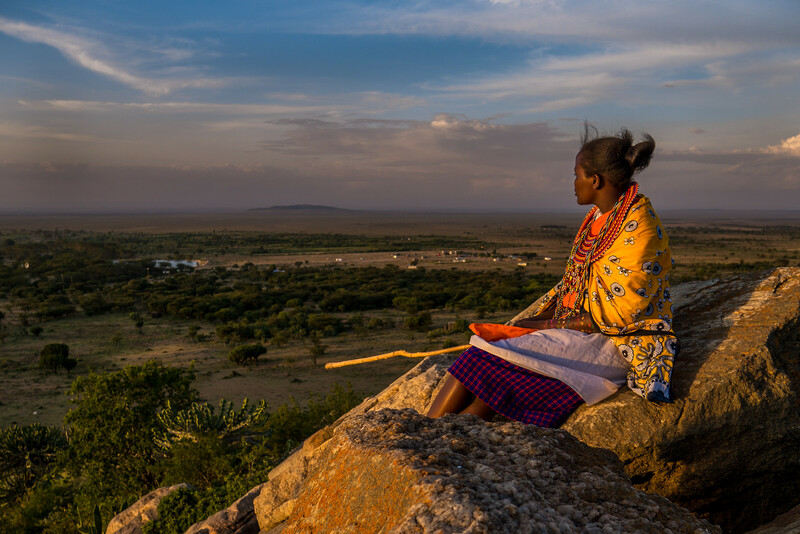 On my last evening at the camp, Meeri, one of my Maasai guides that week, shared with me her story. We were walking to a camping spot about two hours from the village. 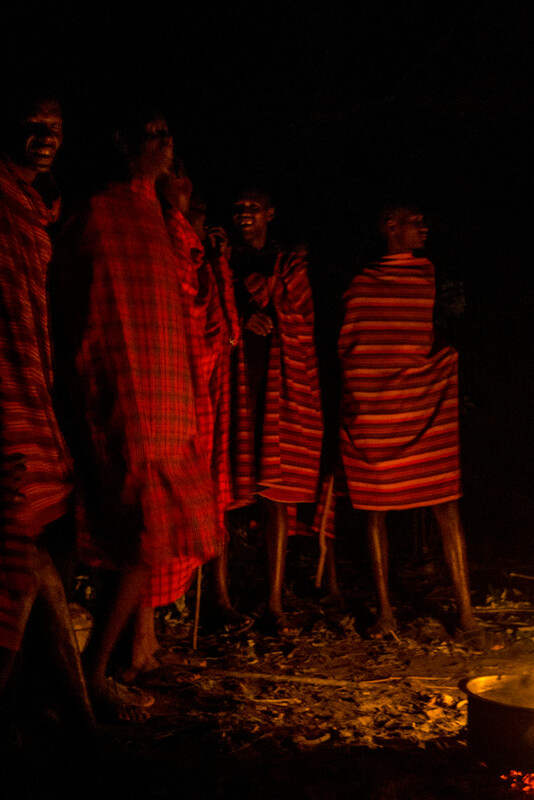 The Maasai had promised us a night of friendly conversation, singing by the campfire, and sleeping under the stars. Meeri and I walked side-by-side over the shrubby savannah. She wasn’t always a part of the Maji Moto community. 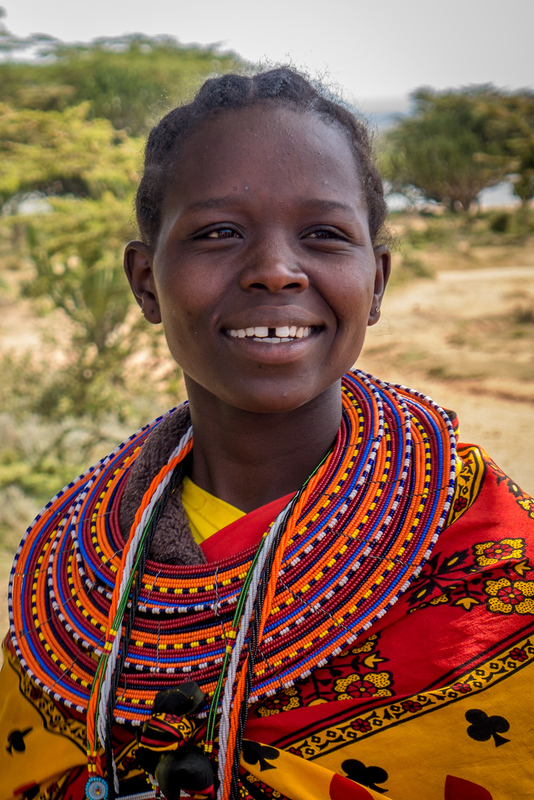 At her family’s prompting, Meeri dropped out the fourth grade to become circumcised and married. When most preteens are dreaming of their future goals, Meeri became the fifth wife of an old man. Not long after their marriage, her husband died. Meeri, however, was already pregnant. Her husband’s wives and their eldest sons seized Meeri’s possessions and forced her to leave. She went to her father, but he denied her reentry into the family—he had received a dowry and did not want to return it. Meeri had few options. 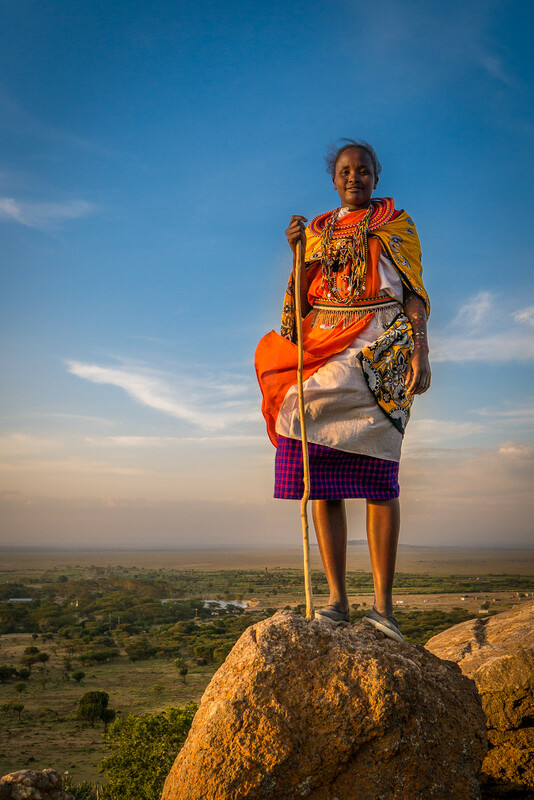 She had vague knowledge of a widow’s village in a different Maasai camp; she set out alone and determined. She walked for three days. Each night, she slept in trees to avoid the wild animals. Once at Maji Moto, the community welcomed her. She now had a new future. 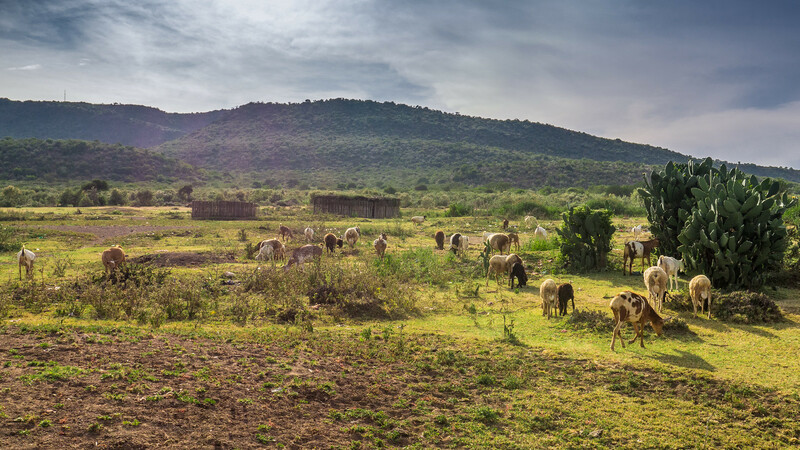 The Widow’s Village provided Meeri with a support system that most Maasai communities lack. The other widows offered to raise Meeri’s child so she could return to school and continue her education. The sun hung lower as Meeri and I walked, the soft tread of my uneven gait scuffed the dusty rocks. Although Merri’s words looped through my mind, Meeri continued with enthusiasm when she spoke of her future. Having finished at the local school, Meeri planned to continue her education. She hoped to become a certified guide. Her long-term goal was to lead tours through the nearby Maasai Mara Reserve. After a time, Meeri left me to my thoughts. It was a lot to digest. Stories have the power to change us. Stories use a steel cable to cinch humanity closer; they bind us across cultures, time, and space. Once you have created a new story of a place, that connection can never be undone. It changes your perception of foreign events in far-off places. I will always have a connection to Kenya. 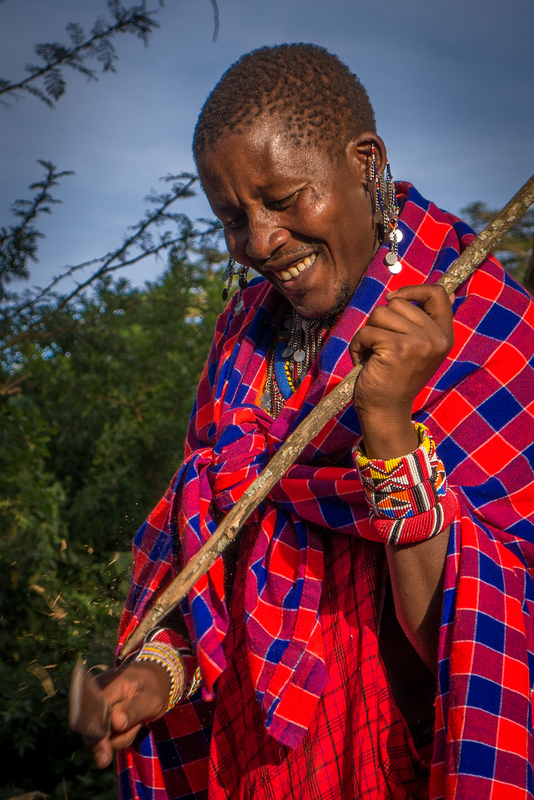 A tapestry of stories bind me to the Maasai. In the span of a few days, I had solidified my once abstract associations. And though the Maasai had become more than just the magazine images from my youth, even more I realized that my role here was as a tourist. 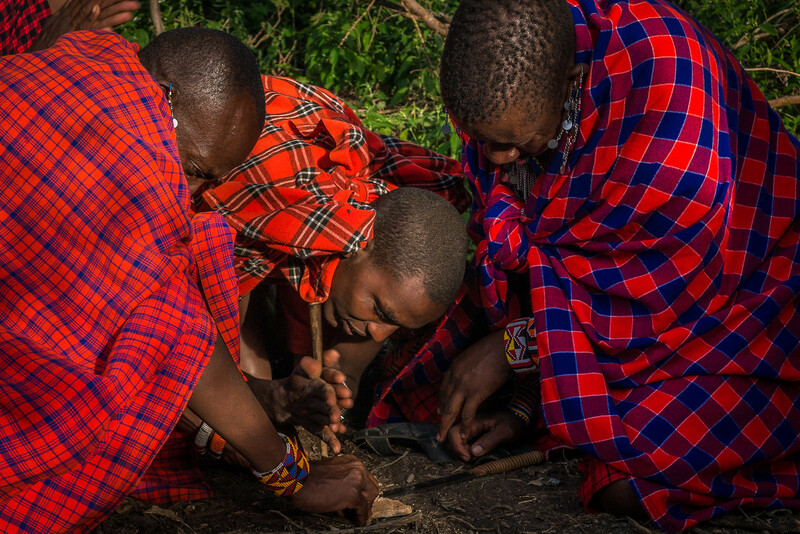 The cultural camp affords the Maasai control over how the tourists experience their culture. 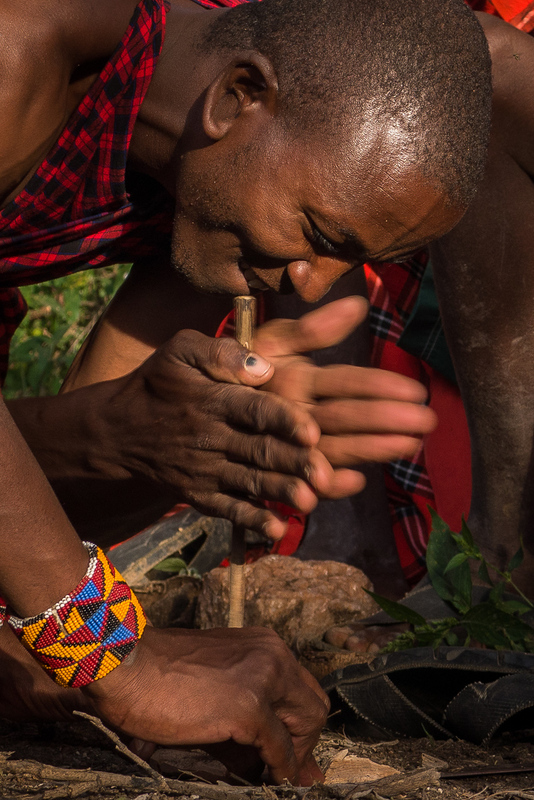 Maji Moto’s mission is to create an experience that facilitates connections and stories between Maasai and tourists, while controlling outside impact on their culture. I would leave Maji Moto with a new story of East Africa’s Maasai and with a connection to a people different from my home country. But I would also leave behind my tourism dollars and the far greater impact that money has on this community’s ability to build and shape its future. My moments of pressing introspection upon hearing Meeri’s story passed in a heartbeat. With alacrity, we arrived at our camping spot. Other warriors had arrived before us. They had prepared a bed of sage leaves for those who wanted to sleep outside, a few tents for others, and the beginnings of a large campfire. A goat rested in the corner; he would soon become dinner. Once the sun had retired, we gathered around the campfire. Late into the night, I listened to the Maasai warriors converse through song. Melodies echoed with deep reverberations into the night. Some songs included high-pitched catcalls strong enough to pierce the star-studded sky. The Maasai’s contagious joy outlasted me; I crawled onto my sage pallet and into my sleeping bag. I fell asleep to the soft cadence of conversation as it warred with the rustling leaves and the distant hoot of birds. In the two years since I visited Maji Moto, I have pressed each moment into my memory bank. Like a treasured flower pressed into an age-worn book, some memories have faded with the passing of time. But like that flower, each time I open the book, memories rush back to me. Textures, colors, and scents fill each memory. My time at Maji Moto is memorable for more than providing me weeklong glimpse into a different culture. Pressed into my memories are those moments of human connection. There’s Meeri’s crinkling smile as I peppered her with questions. I have forever preserved Quela’s infectious laugh as I misidentified the local medicinal herbs growing in the fertile plains. I open that book and I hear Salaton’s measured lilt as he spoke of his passion to preserve his culture through innovative sustainable tourism programs. The Maji Moto camp, and the people who welcomed me, crafted the tourism experience that I didn’t know I needed. My visit landed squarely in the camp of cultural tourism. Salaton and the elders designed our experience to steer far clear of the cultural exploitation rampant elsewhere. 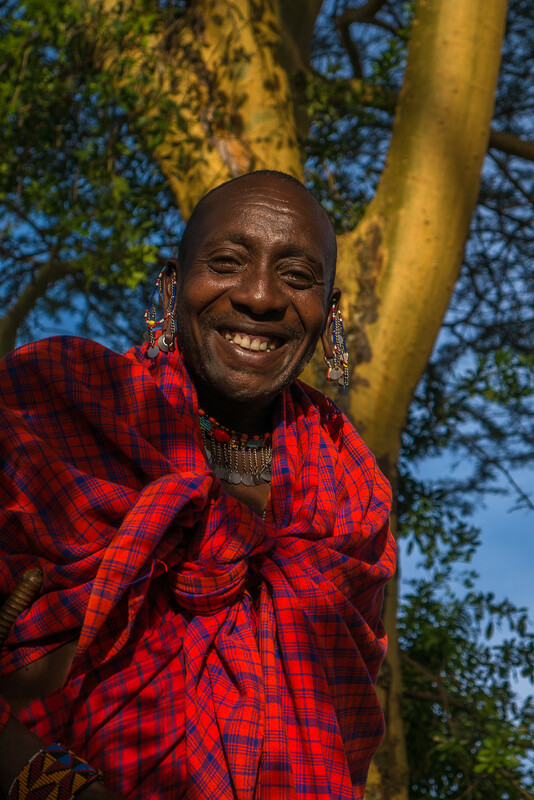 Each moment was guided by a visionary chief working to define what modern responsible tourism looks like for the Maasai of East Africa. The Maji Moto Cultural Camp operates year-round. 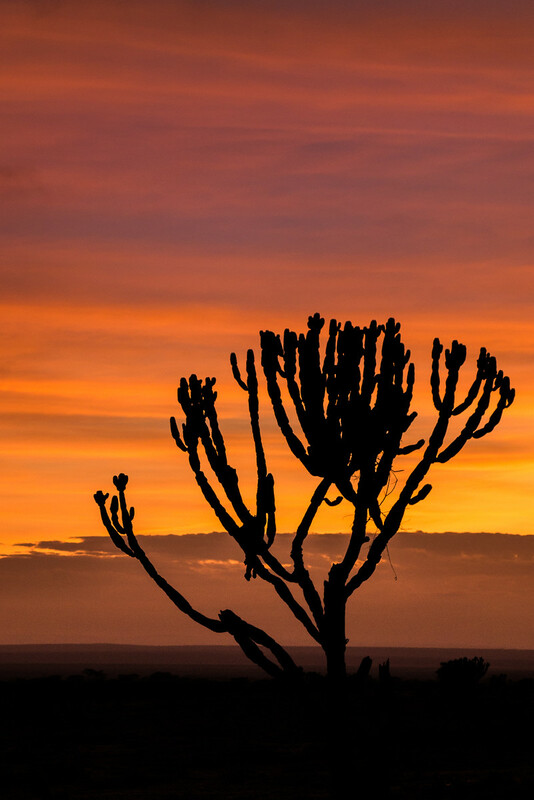 They offer multi-night stays at the camp and safaris to the nearby Maasai Mara Reserve. Earlier this year, A Little Adrift readers visited with their two kids; they reported back that they had a wonderful family experience. The Maasai warriors are great with kids and have a range of activities designed to engage and interest them (from beadwork to warrior training). Be sure to book through the site linked here as the similarly named eco-camp nearby is not a part of this social enterprise.